Okinawa, Japan’s southernmost prefecture, is an idyllic chain of subtropical islands arching across the ocean toward Taiwan. It has its own unique culture with fascinating castles, crafts, festivals and cuisine, while clear waters, coral reefs and fine beaches make it perfect for marine sports. Resorts offer that famous Japanese quality and service, joined with local smiles. A wonderfully Okinawan phrase says it all: ‘Ichariba-chode’ means ‘once we meet, we are brothers and sisters’. Once an independent kingdom, the islands became a hub for trade in the Pacific. 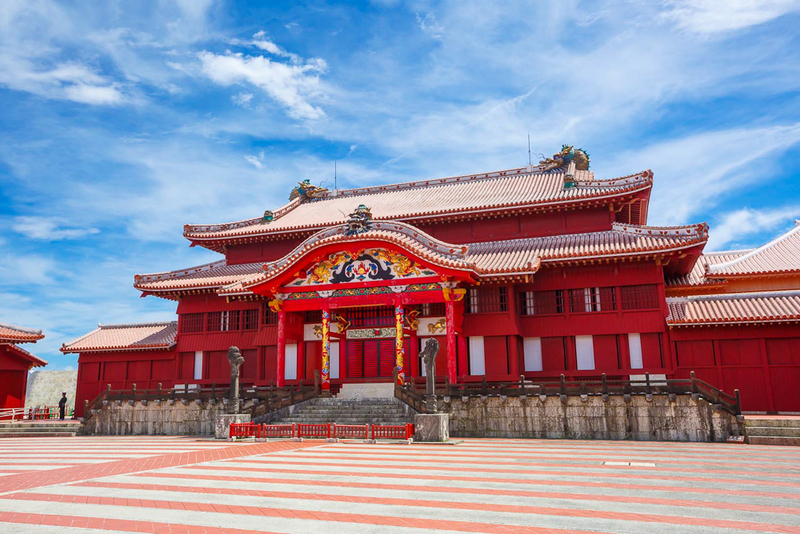 Shuri Castle is unlike castles on the Japanese mainland, bearing a real similarity to Chinese palaces with its vermillion walls, lions and dragons. Vibrant festivals are held throughout the year and, in October, the world’s largest tug-of-war takes place in Naha City – tens of thousands of locals and visitors join in to pull the gigantic 40-tonne rope. Surfing, kayaking, and paddleboarding have gained in popularity, but scuba diving is still the biggest draw. 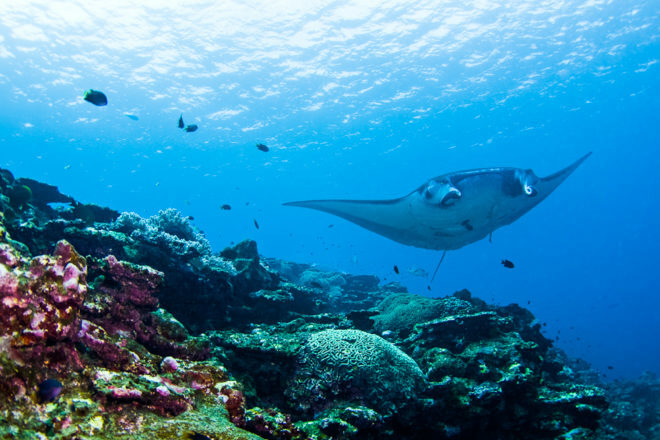 Excellent water clarity allows divers to explore the coral and a wide variety of marine life. Humpback whales pass by the main island in the winter, mantas circle Kabira Bay while, at Yonaguni, hammerhead sharks migrate past ruins that some believe to be a lost civilisation. The northern part of Okinawa has a wide range of kid-friendly activities with a Pineapple Park, Butterfly House, play areas, a planetarium, and one of the world’s largest aquariums. The Churaumi Aquarium has touch pools and interactive exhibits, but the highlight is the colossal main tank – relax with a coffee while manta rays and whale sharks glide above you. 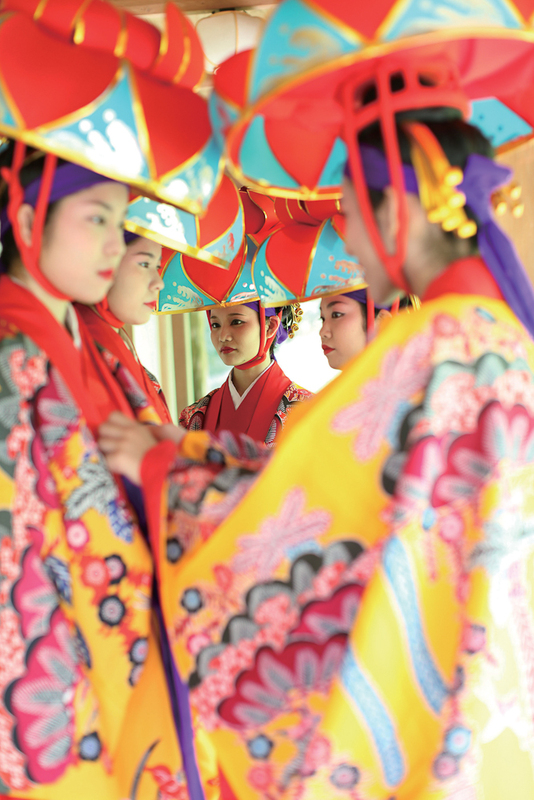 Okinawa is famous for the longevity of its people. Their secret doesn’t come in pill form, but is due to warm weather, positive mental attitudes, and traditional dishes filled with flavour and nutrition. Fruit, yams and fresh seafood are both sustenance and medicine, and restaurants blend the best of western, Asian and local flavours. Why settle with ice-cream at the beach in plain old vanilla? Follow the locals and go with milk tea, local lime, or even purple sweet potato flavour.